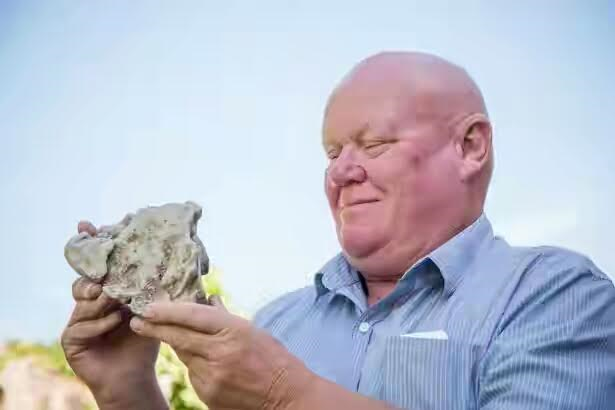 A UK father and son pair, Alan Derrick, 67, and Tom, 39 were on a leisurely walk on the beach when stumbled across a lump of whale vomit. What is news however is that the smelly lump could be worth a load of cash, £65000. 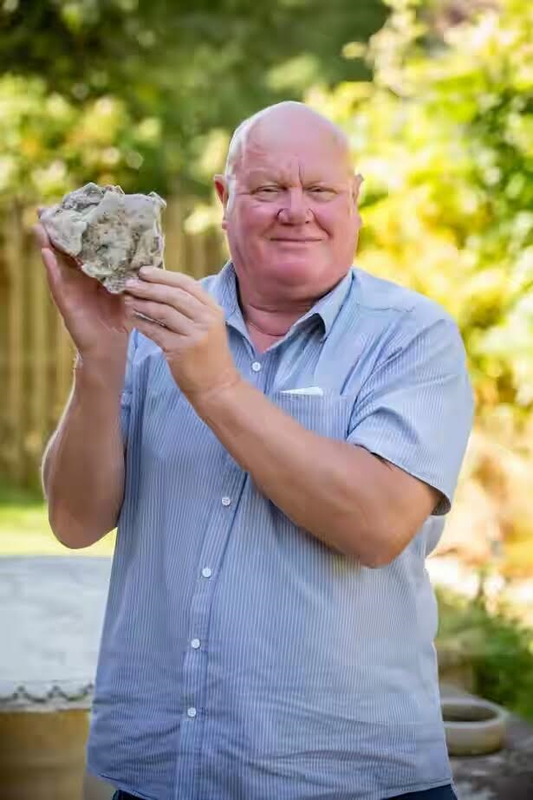 Engineer Tom picked up the grey waxy 'rock' and keen fisherman Alan thought it looked like super valuable 'whale poo' he had once seen in a newspaper. Tests at Alan's home in Somerset confirmed it could be ambergris - a highly-prized but stinky substance used in the manufacture of perfume. They have sent samples off to experts in Italy, New Zealand and France in the hope they will back-up their tests. "The weather was not very good on Sunday so I decided not to go fishing and go for a walk instead. "My son said 'I'll come with you' and when we were walking he came over to me and said 'what do you think this is dad?' "It weighs about 2.5lbs and is very dense and has a very pungent smell. "I said 'if that's what I think it is then guard it with your life'. "It smells terrible. It smells like walking into a very old damp building." Ambergis comes from whales and takes years to form, it's slimy, slurry texture is thought to protect the animal from hard and sharp objects it eats. It maybe smelly but it is highly prized in the perfume industry and is therefore dubbed 'floating gold'. Alan has put it up for sale on eBay with a £65000 price tag, until a buyer shows up, his valuable find is sitting safe in a safety box. If it proves to be the valuable substance Alan said Tom will take the cash and put it in a trust fund for his two-year-old son Matthew.